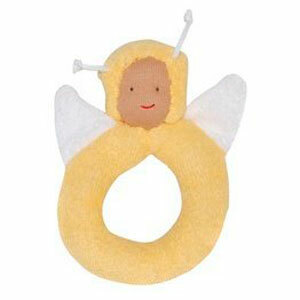 Made with 100% Organic Cotton, this sweet bumble bee by Under the Nile is a perfect teether. Made with pesticide free, handpicked Egyptian Organic Cotton, there is no fluff for your baby to inhale. Machine washable, and measuring 5", this teether is a must for all small hands.